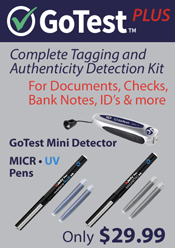 MICR inkjet ink for 100% bank-compliant checks. 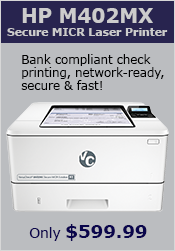 Use your inkjet to print custom checks on demand! 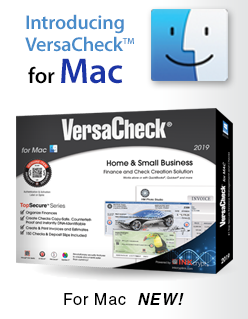 Create Secure Personal and Business Checks from Anywhere, Anytime!